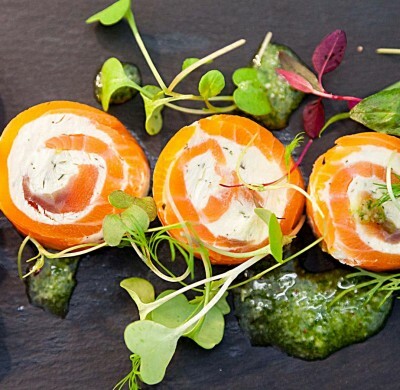 Wedding catering canapoés to capture the imagination of your guests! Wedding catering canapé’s to capture the imagination! 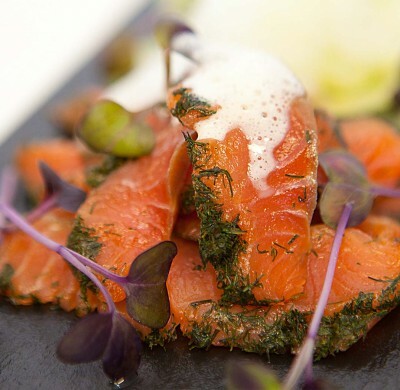 We love experimenting with flavours and textures to create imaginative dishes! 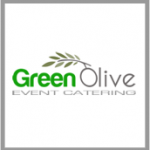 While designing our wedding catering menu’s, we are focused on many different elements to create the menu of your dreams. Firstly, there’s the provenance of the food on your plate. With the abundance of ingredients available to us in our local environment, we try to utilise as much locally available ingredients in our menus. Secondly, its the combination of flavours on the the plate, what compliments a fillet of a certain fish for example, what enhances it while allowing the natural flavour to sing? 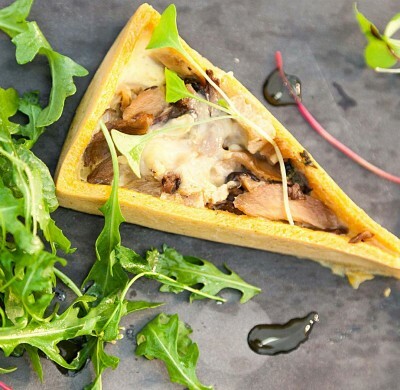 Thirdly, our wedding catering menu’s are all about the art of the plate. Having studied at Art college in Mexico many years ago, our Head Chef Val likes to use food as his meduium these days! Here we have four simple ingredients, organic peppermint from our vegetable plot, feta cheese, cucumber and kalamata olives. The flavours and textures work so well together and look pretty funky too. Guests at your wedding will enjoy the opportunity to try something new and different, perhaps something they wouldn’t necessarily order out in a restaurant?!! Lots of our couples are concerned about older relatives who may have a more traditional palate and worry about presenting them with food which is a little “left of field”. We have found that guests relish the chance to try a new food, its your big day after all, your stamp should be on the menu!